What do you get when you combine Israel’s talents in high-tech with its child-centered society? 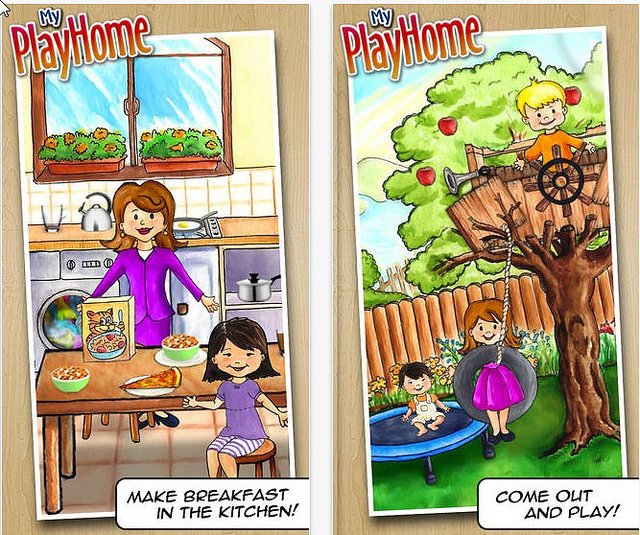 Terrific mobile applications for children. We chose just 10 to feature, but you can find tons more if you poke around the app marketplace. Selected by Marshable as a top-five “digital distraction” for kids and their parents, TinyTap is a free, intuitive game-creation platform for iPad and iPhone. Parents, teachers and children can design their own educational games or choose one from the TinyTap Social Market. On January 8 of this year, TinyTap was one of three apps to receive the $1 million Verizon Powerful Answers award. This dollhouse for the iPad generation was cited in The New York Times’ ” Apps to Keep Children Happy” list two years ago. Kids can open the closets, turn on the TV and shower, fry an egg, pour drinks, blow bubbles and other fun stuff. The advantages of a virtual dollhouse: It can go anywhere and there are no pieces to lose or get broken. Plus, the house can be expanded and accessorized. Recommended for ages 1-7. 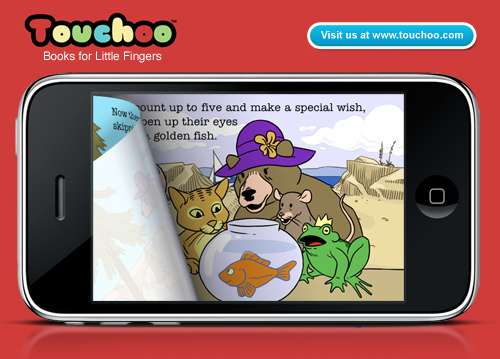 Books for little fingers – Touchoo. With this coloring app for iPhone, iPod Touch and iPad, children ages 2-7 can do symmetrical drawings on the wings of an animated butterfly, bee, dragon, peacock or unicorn. The creatures laugh, get excited or faint in reaction to the choice and pattern of colors or animated decoration placed on the wing. They’ll even hand your child a towel if the virtual paint spills from the color palette, which doubles as a musical xylophone‏‏‏‏. There is optional animation, such as flowers that open and close, lights that blink, hearts that beat. Save drawings by clicking the camera icon. Preschoolers can play this highly interactive game as a “brother” or a “sister.” There are activities and tasks to perform in each of six rooms, as well as in the garden: taking a bath, tidying the bedroom, making pancakes with mom, picking flowers, brushing teeth, putting on pajamas, etc., all accompanied by sounds and graphics. The “day” ends by going to sleep with a satisfying snore. One of several iPhone-iPad apps made by Kids 1st Shape Puzzles, this virtual jigsaw puzzle is a natural for tots fascinated by trucks, diggers, tractors, trains, boats, ambulances and planes — 70 vehicles in all. Players who place the pieces correctly get rewarded by hearing the sound made by the vehicle, and they also hear its name pronounced in Hebrew or English. Why learn just one language when you can learn three all at once? The My Body app for iPhone and iPad teaches children the words for body parts in English, Spanish and Hebrew. The application is divided into three categories: Front, back and head. HowDo hopes to answer kids questions. Curious kids have a million questions. 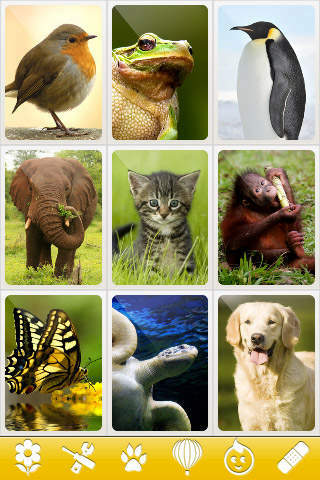 This iPhone-iPad app aims to answer them with the aid of 150 detailed photos and sound effects covering 54 topics. How are butterflies formed? How do rainbows appear in the sky? How do they make ice cream? How is a chair manufactured? How does a letter dropped in the mailbox reach its destination? How do you ride a bike? There are free and paid versions of the app available. The most downloaded free Christmas iOS app in 2013, this game lets kids heal Santa’s cold, rescue him from a chimney or a block of ice and other sticky situations so that he can get to children’s homes on Christmas Eve. TabTale, the Israeli startup behind this iOS and Android app as well as hundreds of others, was ranked among the top 10 app publishers by ranking site AppAnnie.com.